Oracle Applications Experience in several of the following modules: Accounts Payable, Accounts Receivable, Fixed Assets, General Ledger, Human Resources, Project Accounting, Sales Order Management, Service Contracts, Workflow, OTL, and Time and Expenses. Candidate should be expert in PL/SQL, Oracle Reports and XML Publisher • Working experience/ hands on Oracle Workflow or JDeveloper will be big plus. Experience on Oracle Project Management Modules will be preferable. Hands-on technical/ functional, senior-leveled position, with Oracle applications (11i or greater) experience, required. Oracle On-Demand (OOD) experience, Sarbanes Oxley understanding and healthcare industry experience is a plus, but not mandatory. Qualified candidates should have a minimum of 3-5 years Oracle hands on development experience. Here there are very basic still sometime become critical to know concept if you working in Oracle Database related activities. Q: What is an Oracle instance?Every running Oracle database is associated with an Oracle instance. When adatabase is started on a database server (regardless of the type of computer),Oracle allocates a memory area called the System Global Area (SGA) and starts one or more Oracle processes. This combination of the SGA and the Oracle processes is called an Oracle instance. The memory and processes of an instance manage the associated database’s data efficiently and serve the one or multiple users of the database. After starting an instance, Oracle associates the instance with the specified database. This is called mounting the database. The database is then ready to be opened, which makes it accessible to authorized users. Multiple instances can execute concurrently on the same computer, each accessing its own physical database. In clustered and massively parallel systems (MPP),the Oracle Parallel Server allows multiple instances to mount a single database. Only the database administrator can start up an instance and open the database.If a database is open, the database administrator can shut down the database so that it is closed. When a database is closed, users cannot access the information that it contains. Security for database startup and shutdown is controlled via connections to Oracle with administrator privileges. Normal users do not have control over the current status of an Oracle database. Q: What is a view? Q: What is referential integrity? Rules governing the relationships between primary keys and foreign keys of tables within a relational database that determine data consistency. Referential integrity requires that the value of every foreign key in every table be matched by the value of a primary key in another table. Q: What is a cursor?A cursor is a private sql work area used to perform manipulations on data using pl\sql, mainly used for multiple row manipulations and locking columns. Data which is populated into the cursor is known as active dataset. 1.sql%is open:attribute returns a boolean value stating wether the cursor is open or closed. 2.sql % found: returns boolean value stating whether the record is found in the cursor. 4.sql %rowcount :returns a pneumeric value stating no.of rows executed in the cursor. CURSOR WITH UPDATE CLAUSE IS USED TO PERFORM LOCKS ON DATA. Q: Why Use Sql* Loader in Oracle Database? The Sql Loader utility loads data into an existing ORACLE table from an external files. The below example explains a few of the important terms and concepts used in the Oracle E-Business Suite. 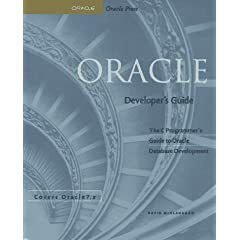 This would be a good starting point for the beginners to better understand the concepts behind Oracle Applications. Say Harry is the owner of a wholesale fruit shop. He buys various fruits like apples, oranges, mangos and grapes etc from farmers directly and sells them to retail shop owners and also to the direct customers. The farmers are referred to as VENDORS/SUPPLIERS in Oracle Applications. Harry keeps track of all his vendors’ information like addresses, bank account and the amount he owes to them for the fruits that he bought etc, in a book named PAYABLES. Harry gets an order from a retail shop owner of Fruit Mart, for a shipment of 11 bags of apples, 25 bags of oranges and 32 kgs of grapes. In Oracle Apps, bags and kgs are referred to as UOM (unit of measure), Fruit Mart is called CUSTOMER and the order is referred to as SALES ORDER. Harry maintains a book called ORDER MANAGEMENT where he writes down all the details of the SALES ORDERS that he gets from his customers. Say the fruits have been shipped to the customer Fruit Mart. Harry now sends him the details like cost of each bag/fruit, the total amount that the customer has to pay etc on a piece of paper which is called INVOICE / TRANSACTION. Once the INVOICE has been sent over, the customer then validates this against the actual quantity of fruits that he received and will process the payments accordingly. The invoice amount could be paid as a single amount or could be paid in installments. Harry’s customer, Fruit Mart pays him in installments (partial payments). So Harry has to make a note of the details like date received, amount received, amount remaining, amount received for what goods/shipments/invoice etc, when Harry receives the payments. This detail is called RECEIPT, which will be compared to the invoice by Harry to find how much Fruit Mart has paid to him and how much has to be paid yet. This information is maintained in a book named RECEIVABLES to keep track of all the customers, their addresses (to ship the items), what and how much he has shipped to his customers and the amount his customers owe him etc. Harry’s fruit business has begun to improve and has attracted more and more customers. As a result, Harry decided to buy a cold storage unit where he could stock more fruits. In Apps, this cold storage unit is known as WAREHOUSE and all the fruits are referred to as INVENTORY. Due to increase in customers, Harry needs to hire more people to help him out in his business without any hiccups. These workers are called EMPLOYEES. At the end of every month, Harry pays the salary for all his employees through Checks. These checks are nothing but PAYROLL in Apps. At the end of every month, Harry prepares a balance sheet in a book called GENERAL LEDGER to determine how much profit/loss he got and keeps track of the money going out and going in. As the business grows, it becomes impossible to record everything on a paper. To make everybody’s life easier, we have very good tools in the market, which help the business men to keep track of everything. One such tool is Oracle E-Business Suite. Oracle Applications is not a single application, but is a collection of integrated applications. Each application is referred to as a module and has it own functionality trying to serve a business purpose. Few of the modules are Purchasing, Accounts Payables, Accounts Receivables, Inventory, Order Management, Human Resources, General Ledger, Fixed Assets etc. Oracle Purchasing handles all the requisitions and purchase orders to the vendors. Oracle Accounts Payables handles all the payments to the vendors. Oracle Inventory deals with the items you maintain in stock, warehouse etc. Order Management helps you collect all the information that your customers order. Oracle Receivables help you collect the money for the orders that are delivered to the customers. Oracle Human Resources helps maintain the Employee information, helps run paychecks etc. Oracle General Ledger receives information from all the different transaction modules or sub ledgers and summarizes them in order to help you create profit and loss statements, reports for paying Taxes etc. For Example: when you pay your employees that payment is reported back to General Ledgers as cost i.e money going out, when you purchase inventory items and the information is transferred to GL as money going out, and so is the case when you pay your vendors. Similarly when you receive items into your inventory, it is transferred to GL as money coming in, when your customer sends payment, it is transferred to GL as money coming in. So all the different transaction modules report to GL (General Ledger) as either “money going in” or “money going out”, the net result will tell you if you are making a profit or loss. All the equipment, shops, warehouses, computers can be termed as ASSETS and they are managed by Oracle Fixed Assets. There is a lot more in Oracle applications. This is the very basic explanation just to give an idea of the flow in ERP for the beginners. Question: Which triggers are created when master -detail relation? Question: which system variables can be set by users? Question: What are object group? Answer: An object group is a container for a group of objects. You define an object group when you want to package related objects so you can copy or reference them in another module. Question: What are referenced objects? Answer: Referencing allows you to create objects that inherit their functionality and appearance from other objects. Referencing an object is similar to copying an object, except that the resulting reference object maintains a link to its source object. A reference object automatically inherits any changes that have been made to the source object when you open or regenerate the module that contains the reference object. Question: Can you issue DDL in forms? Answer: yes, but you have to use FORMS_DDL. references in the string, but the values of bind variables can be concatenated into the string before passing the result to FORMS_DDL. Question: What is SECURE property? Answer: – Hides characters that the operator types into the text item. This setting is typically used for password protection. Answer: Triggers can be classified as Key Triggers, Mouse Triggers ,Navigational Triggers. Navigational Triggers :: These Triggers are fired as a result of Navigation. E.g : Post-Text-item,Pre-text-item. We also have event triggers like when –new-form-instance and when-new-block-instance. We cannot call restricted procedures like go_to(‘my_block.first_item’) in the Navigational triggers But can use them in the Key-next-item. The Difference between Key-next and Post-Text is an very important question. The key-next is fired as a result of the key action while the post text is fired as a result of the mouse movement. Key next will not fire unless there is a key event. Question: Can you store pictures in database? How? Answer: Yes, in long raw datatype. Question: What are property classes? Can property classes have trigger? of all objects that inherit properties from that class. Yes. All type of triggers. Question: If you have property class attached to an item and you have same trigger written for the item. Which will fire first? Answer: Item level trigger fires , If item level trigger fires, property level trigger won’t fire. Triggers at the lowest level are always given the first preference. The item level trigger fires first and then the block and then the Form level trigger. Question: What are record groups? Can record groups created at run-time? Answer: A record group is an internal Oracle Forms data structure that has a column/row framework similar to a database table. However, unlike database tables, record groups are separate objects that belong to the form module in which they are defined. A record group can have an unlimited number of columns of type CHAR, LONG, NUMBER, or DATE provided that the total number of columns does not exceed 64K. Record group column names cannot exceed 30 characters.Programmatically, record groups can be used whenever the functionality offered by a two-dimensional array of multiple data types is desirable. Query Record Group A query record group is a record group that has an associated SELECT statement. The columns in a query record group derive their default names, data types, and lengths from the database columns referenced in the SELECT statement. The records in a query record group are the rows retrieved by the query associated with that record group. Non-query Record Group: A non-query record group is a group that does not have an associated query, but whose structure and values can be modified programmatically at runtime. Static Record Group: A static record group is not associated with a query; rather, you define its structure and row values at design time, and they remain fixed at runtime. Many of juniors and collegues often discuss on this topic , most of them are incline to make good impression & keep it, align themselves with team success and achive their career success. I feel it is very broad topic and require bit more of training n conditioning within team. Just to help out in simple terms on how an individual can pursue, identify and achive his individual success along with team as follows. 10 tips looks longs, if u view closely all are interlinked and you can follow any method to follow those. 1. Find ways to learn continuously. 2. Find ways to improve whatever you do. Be willing to incorporate the new ideas that you learn in #1. 3. Do your work completely and with pride. 4. Be true to your own values. 5. Clear up those irritations (energy drains) so that you can devote your energy to your work. 6. Practice self-care so that you feel good about yourself. 7. Keep work in perspective so that you hav! e time for other parts of your life (family, friends, hobbies, volunteer work). 8. Listen carefully to everyone. Managers need to walk around and talk to employees and customers. 9. Network within your company and outside. 10. Delegate tasks when appropriate and empower those doing the work to do it their own way. Sample example on viewing worksheet through discoverer plus via URL link. Answer: An ALERT is a modal window that displays a message notifiying operator of some application condition. Question: Can a button have icon and label at the same time? Question: What is mouse navigate property of button? Answer: When Mouse Navigate is True (the default), Oracle Forms performs standard navigation to move the focus to the item when the operator activates the item with the mouse. When Mouse Navigate is set to False, Oracle Forms does not perform navigation (and the resulting validation) to move to the item when an operator activates the item with the mouse. Answer: forms run inside the MDI application window. This property is useful for calling a form from another one. Question: What are timers? When when-timer-expired does not fire? Answer: The When-Timer-Expired trigger can not fire during trigger, navigation, or transaction processing. Question: Can object group have a block? Answer: Yes , object group can have block as well as program units. Question: How many types of canvases are there? Answer: There are 2 types of canvases called as Content and Stack Canvas. Content canvas is the default and the one that is used mostly for giving the base effect. Its like a plate on which we add items and stacked canvas is used for giving 3 dimensional effect. Question: What is a visual attribute? Answer: Visual attributes are the font, color, and pattern properties that you set for form and menu objects that appear in your application’s interface. Question: Diff. between VAT and Property Class? programmatically; property class assignment cannot be changed programmatically. When an object is inheriting from both a property class and a named visual attribute, the named visual attribute settings take precedence, and any visual attribute properties in the class are ignored. Question: Which trigger related to mouse? Question: What is Current record attribute property? Answer: Specifies the named visual attribute used when an item is part of the current record. Current Record Attribute is frequently used at the block level to display the current row in a multi-record If you define an item-level Current Record Attribute, you can display a pre-determined item in a special color when it is part of the current record, but you cannot dynamically highlight the current item, as the input focus changes. Question: Can u change VAT at run time? Answer: Yes. You can programmatically change an object’s named visual attribute setting to change the font, color, and pattern of the object at runtime. Question: Can u set default font in forms? Answer: Yes. Change windows registry (regedit). Set form45_font to the desired font. Question: Can u have OLE objects in forms? Question: Can u have VBX and OCX controls in forms? Question: What r the types of windows (Window style)? Answer: Specifies whether the window is a Document window or a Dialog window. 10) What is OLE Activation style property? 10) Specifies the event that will activate the OLE containing item. Question: Can u change the mouse pointer? How? Answer: Yes. Specifies the mouse cursor style. Use this property to dynamically change the shape of the cursor. Question: What are savepoint mode and cursor mode properties? Level? Answer: Specifies whether Oracle Forms should issue savepoints during a session. This property is included primarily for applications that will run against non-ORACLE data sources. For applications that will run against ORACLE, use the default setting. Cursor mode – define cursur state across transaction Open/close. Question: What are OPEN_FORM, CALL_FORM,NEW_FORM? Diff? Answer: CALL_FORM : It calls the other form. but parent remains active, when called form completes the operation , it releases lock and control goes back to the calling form. When you call a form, Oracle Forms issues a savepoint for the called form. If the CLEAR_FORM function causes a rollback when the called form is current, Oracle Forms rolls back uncommitted changes to this savepoint. OPEN_FORM: When you call a form, Oracle Forms issues a savepoint for the called form. If the CLEAR_FORM function causes a rollback when the called form is current, Oracle Forms rolls back uncommitted changes to this savepoint. NEW_FORM: Exits the current form and enters the indicated form. The calling form is terminated as the parent form. If the calling form had been called by a higher form, Oracle Forms keeps the higher call active and treats it as a call to the new form. Oracle Forms releases memory (such as database cursors) that the terminated form was using. Oracle Forms runs the new form with the same Runform options as the parent form. If the parent form was a called form. Question: What is call form stack? Answer: When successive forms are loaded via the CALL_FORM procedure, the resulting module hierarchy is known as the call form stack. Question: Can u port applictions across the platforms? how?